A gorgeous winter edition of the bestselling classic fantasy novel, acclaimed as a Times, Sunday Times and Metro Book of the YearWhen Tiuri answers a desperate call for help, he finds himself on a perilous mission that could cost him his life. 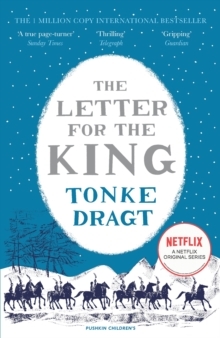 He must deliver a secret letter to the King who lives across the great Mountains - a letter upon which the future of the entire realm depends. It means abandoning his home, breaking all the rules and leaving everything behind - even the knighthood he has dreamed of for so long. The fate of a kingdom depends on just one person... He must trust no one. He must keep his true identity secret. Above all, he must never reveal what is in the letter.